OK 99 Washita River Bridge, Johnston Co. 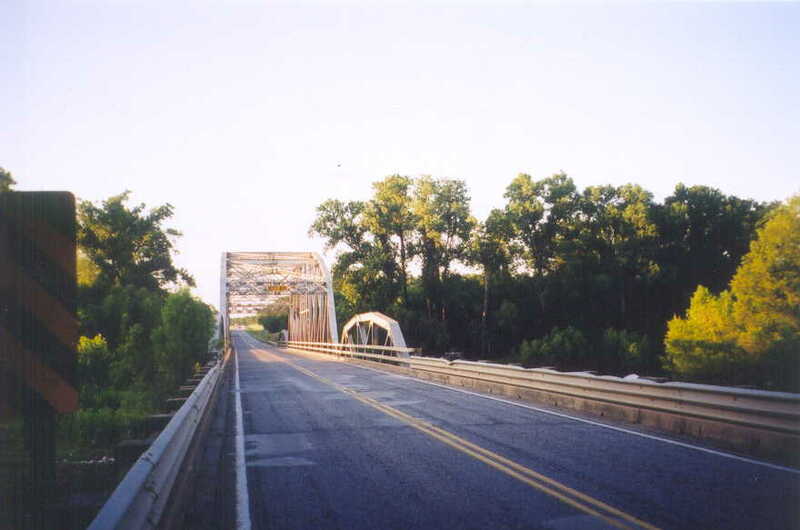 Built in 1943, this bridge stands on OK 99 just outside of Tishomingo. Although the concrete "fence" rails on the approaches have been mutilated and covered by modern steel guards, the truss spans appear totally unmolested, right down to the portals. and the paint looks to be only 20 years old. 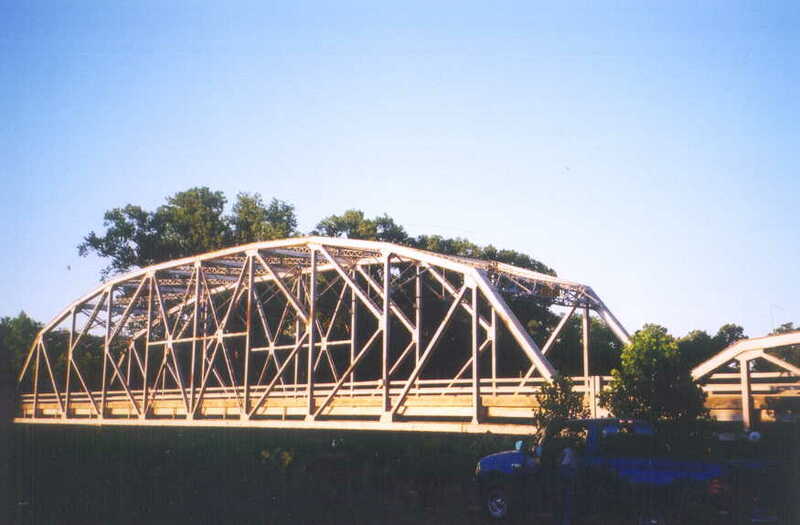 This bridge features a 210' K-Parker and flanking 100' pony truss spans. The lengths of the steel stringer approaches is unknown, but they are not the same length. The driving lanes are 12' wide. OK 99 has many truss bridges along its north-south route. This one is one of its southern most.